Non-stop rain continues to pound the Texas and Oklahoma panhandle. At least two people are dead and three others missing on Sunday in central Texas after record flooding. In central Texas, the Blanco River has risen more than 35 feet -- about three stories high. The water rushed in so fast it destroyed a concrete bridge. 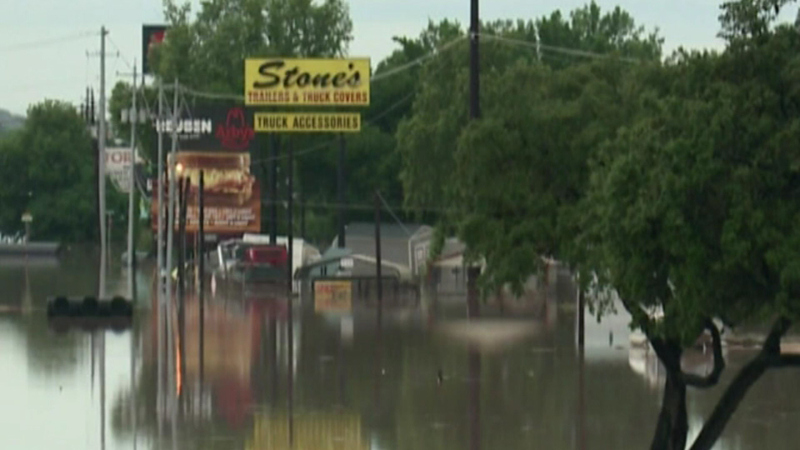 In Oklahoma, severe rain also has led to flooding. A firefighter was trying to rescue a family when he got swept away by the floodwaters in Claremore, Okla. In Houston, a tornado packing 100-mile per hour winds damaged ten buildings at an apartment complex. Two people are in the hospital with minor injuries. Others have been displaced from their homes.